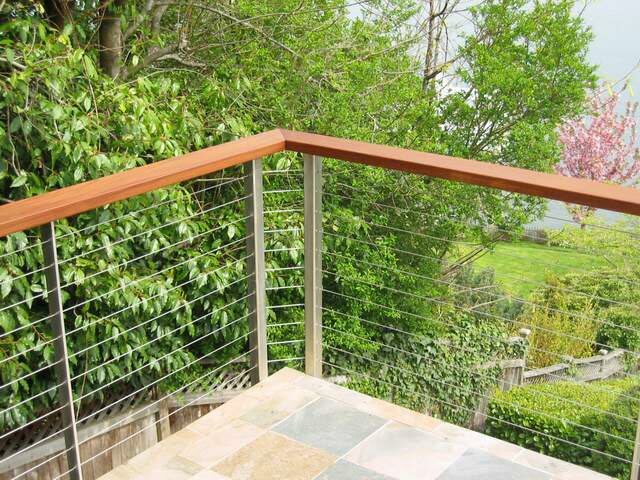 Cable railing done in stainless posts and Ironwood (Ipe) top rail. 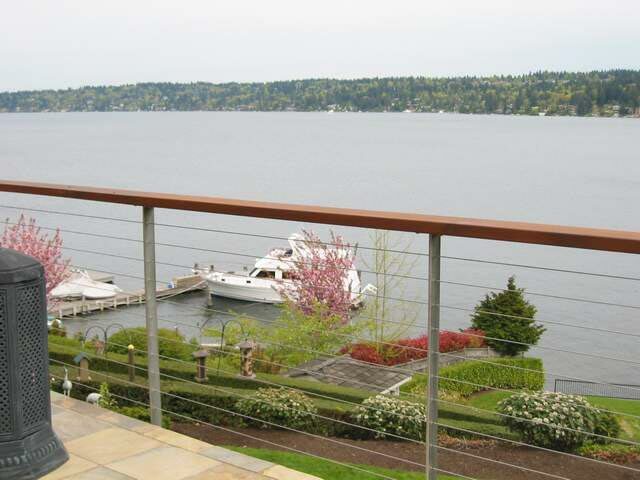 This was a recently installed cable railing system on Lake Washington in Seattle using side mounted stainless posts and a wooden top rail. 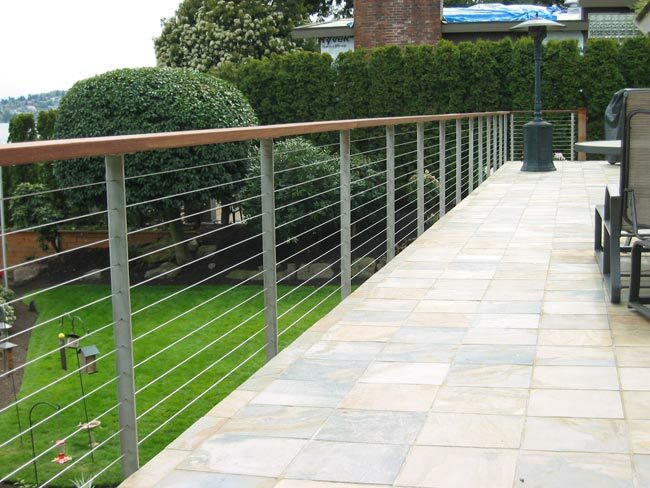 The product fits the waterfront environment quite well but could also fit into a variety of applications. 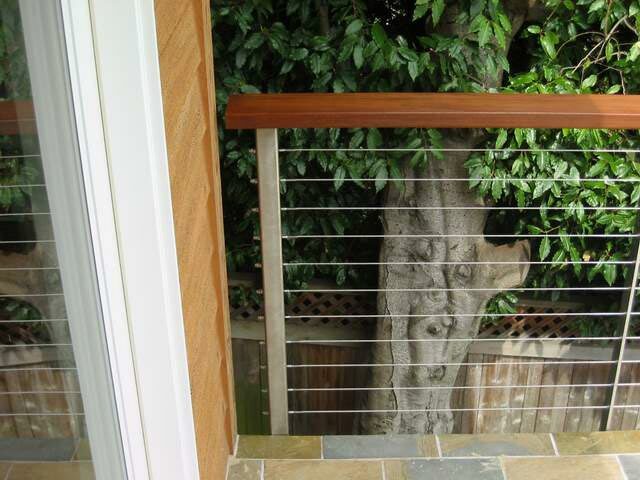 The homeowner chose to oil the top rail to preserve it and enhance the natural color of the wood. The end result is as you see in the photos. Using some thin posts minimized the view blockage. The photos below show how we transition through corners, allowing the cable to continue on without stopping. 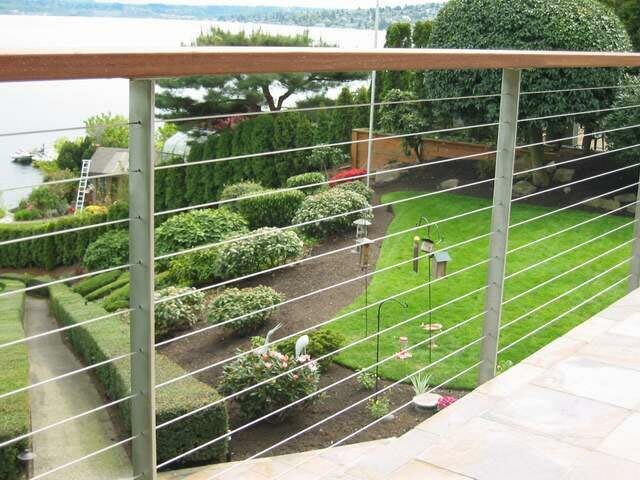 Properly done, it creates a smooth transition to the next portion of the deck. 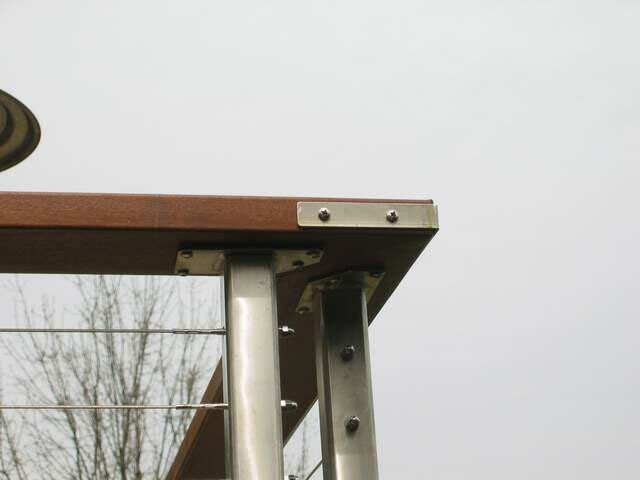 The corner bracket shown below holds the wooden top rail 90 degree corner. The last photo shows how we handle most of the terminations for the cables using easy to use "Studs" on the cable. The gap between the post and wall allows room for your hand and tools to tighten the cable. The top rail was installed beyond the post and almost to the wall making the end post look very clean and simple.